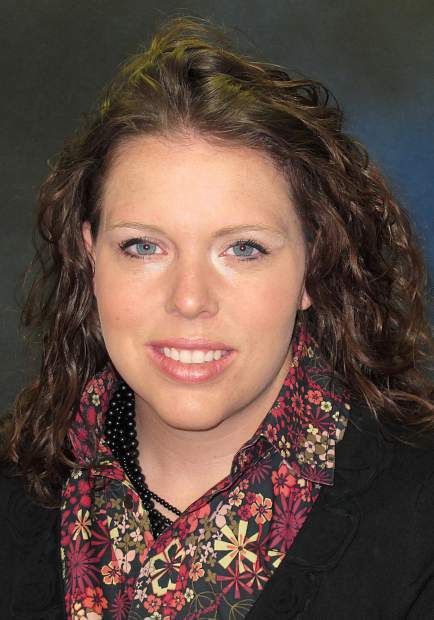 Planting decisions weigh on producers' minds in mid-winter. Some may have acres where planting dry edible beans or corn is an option. Like most farming decisions, several factors should be considered, such as yield, market price, and potential net income. There is a significant difference in total pounds of production per acre between corn and dry edible beans. 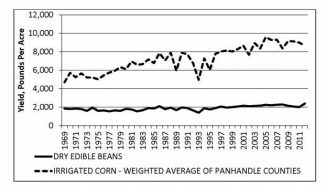 The accompanying chart illustrates the rapid increase in yield (in pounds per acre) of corn compared to dry edible beans in the past 40 years. From 1969 to 2012, on average, corn yielded 3.76 times more than dry edible beans per acre. However, significant advancements in seed technology like RoundUp Ready® have widened the gap. Since the release of genetically modified corn in 1998, the corn yield multiplier over dry edible beans is 4.06. 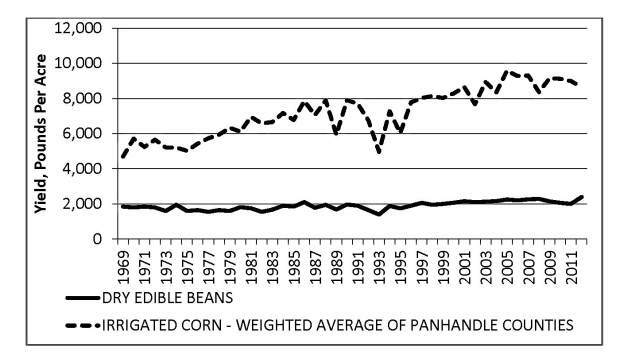 Historical real prices show that from 1969 to 2012 the true value of dry edible beans was 4.54 times that of corn. But changes in commodity price relationships have occurred during that time period. Many economists regard the time since 2007 as a "New Era" in commodity markets due to higher and less predictable prices. The price of dry edible beans from 2007 to 2012 has been 3.95 times that of corn. It is no coincidence that the yield and price factors are close in value to one another. To be competitive for acres, the market price of dry edible beans needs to be approximately four times that of corn. In order to estimate net income, a final price of each commodity should be forecasted. For corn, the best estimate of market price can be found through the futures market. The December 2014 futures price, as of Jan. 13, was $4.35 per bushel. Additionally, we must consider local basis, which in December is usually $0.32 under. This provides us with a forecasted local price of $4.03 per bushel or $0.072 per pound. The 2014 UNL Crop Budgets estimate the breakeven price for irrigated corn in the Panhandle between $4.04 per bushel and $4.49 per bushel, leaving a negative net income. No futures contract is available for dry edible beans. But it's possible to use what we know about the corn/dry edible bean relationship and approximate dry edible bean price by multiplying the forecasted local corn price of $0.072 per pound by four, providing a dry edible bean price of $0.29 per pound or $29.00 per hundredweight. The 2014 UNL Crop Budgets estimate the break-even price for dry edible beans between $23.59 per hundredweight and $23.69 per hundredweight. These estimates provide dry edible beans with a potential net income of about $5 per hundredweight. As planting draws closer, prices will continue to adjust with supply and demand for each commodity. Several factors will play into 2014 planting decisions, including seed availability, crop rotation, and water availability. As always, you must make the best agronomic and economic decision for your operation.